5 Bedroom Detached House For Sale in Altrincham for Asking Price £675,000. A five bedroom family home with spacious rooms throughout. The property is presented to a high standard by the current house proud owners and is the ideal home for a growing family. 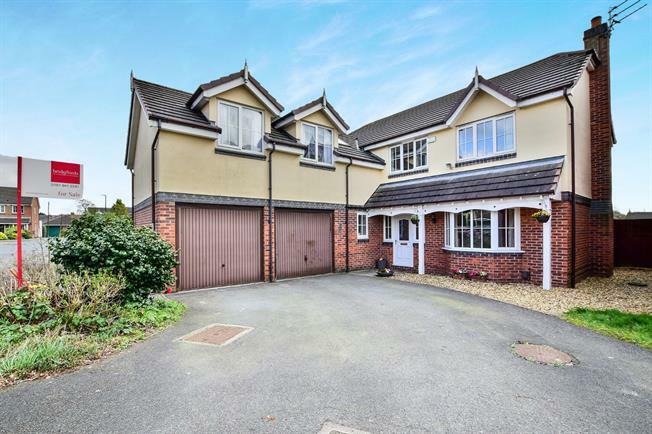 In brief, the property comprises: to the ground floor, entrance hallway, large lounge, spacious kitchen/dining/family room, utility room, study and downstairs WC. In addition, there is a fantastic conservatory which provides additional space for entertaining and leads out to the fabulous rear garden providing the perfect place to spend time with family and friends. To the first floor, this amazing home has five good sized bedrooms, which must be viewed for the space to be appreciated, three bathrooms, two of which are en suite and a wonderful landing which lends character as well as an open, light feeling. With an attached double garage and off road parking to the front aspect, this family home offers a fantastic opportunity to purchase a substantial property in a great location. A five bedroom detached property with double garage and off road parking in a cul de sac location.